State Representative Ron Hicks (R-St. Peters) is resigning from office effective Friday. Hicks moved out of his district in June to Dardenne Prairie, which is about 10 miles outside of his district. 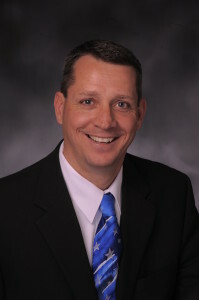 Hicks has served in the House since 2012. In a letter about two weeks ago from Minority Floor Leader Jake Hummel (D-St. Louis) and Assistant Minority Floor Leader Gail McCann Beatty (D-Kansas City) to House Speaker Todd Richardson (R-Poplar Bluff), Hummel and McCann Beatty cited a Missouri law that disqualifies a state lawmaker from continuing to serve if they move out of their district. A statement from Richardson shortly after said that he would work with House attorneys to determine the state of the law. The legislature’s veto session begins September 14. A couple of other House Republicans are reportedly leaving office before the veto session. Any veto overrides that the General Assembly will attempt requires a two-thirds majority.